Hi Everyone! Welcome to Day 1 of Stamp Highlights! For the next few days we are going to showcase our fabulous Design Team's projects for each stamp set. So remember to join us each day and get inspired! Today we are looking at Oh Happy Birds! 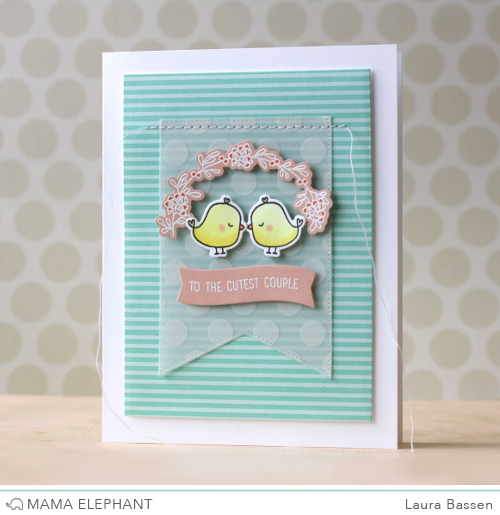 Laura combined stamps & dies from Oh Happy Birds & Dotted Details to create this adorable card. 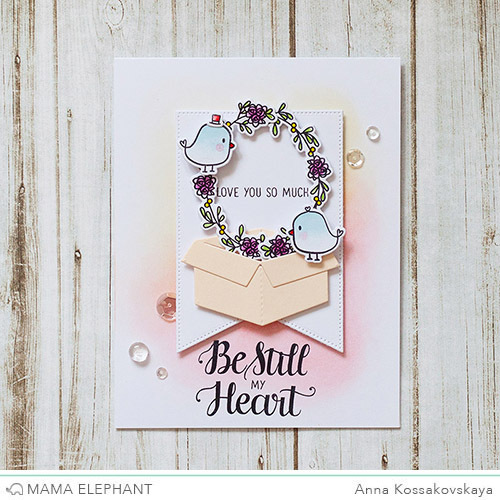 This Valentine card by Anna is so cute and fun and full of surprises inside of the box. 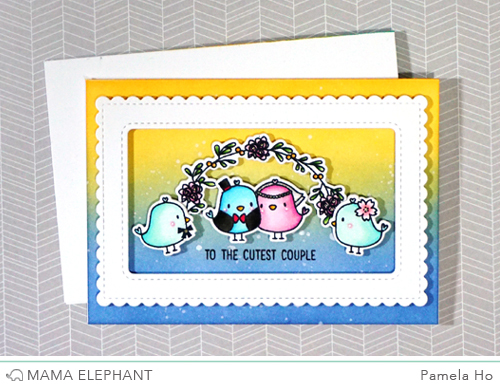 Nichol created a wedding shaker card with the elements from the Oh Happy Birds Stamp Set and Dies and the Madison Avenue die cut frame. Pamela gave the cute couple a Best Man and Maid of Honour for a complete wedding party! 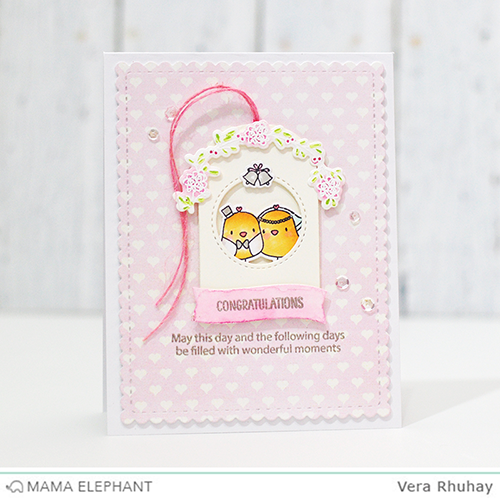 We love how Pamela used stamps from Purrfect Pair and Lunar Extras to dress the up. Sweetest wedding card from Vera, we love how Vera used the Madison Avenue tags dies to create a bird cage. 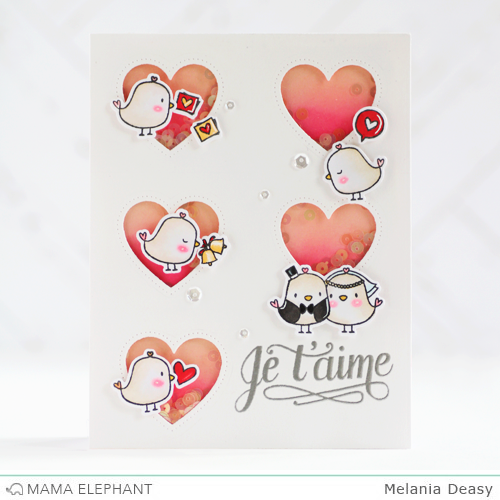 We love how Deasy combined these cute birds with the heart die from Dotted Details to make this fun card. Wonderful cards, the birds are endearing! WOW! Beautiful cards from the team! So sweet these all are! Love the box die!! These are the cutest cards I've seen in a long time. I love the colors and I love the shaker card too. The team is very talented! Love all the cards, the birds are so sweet. My favourite is Nichol's shaker card, such beautiful colours! Adorable cards!! These birdies make me smile!! All of these cards are super adorable!! Oh that shaker card with hearts!! !